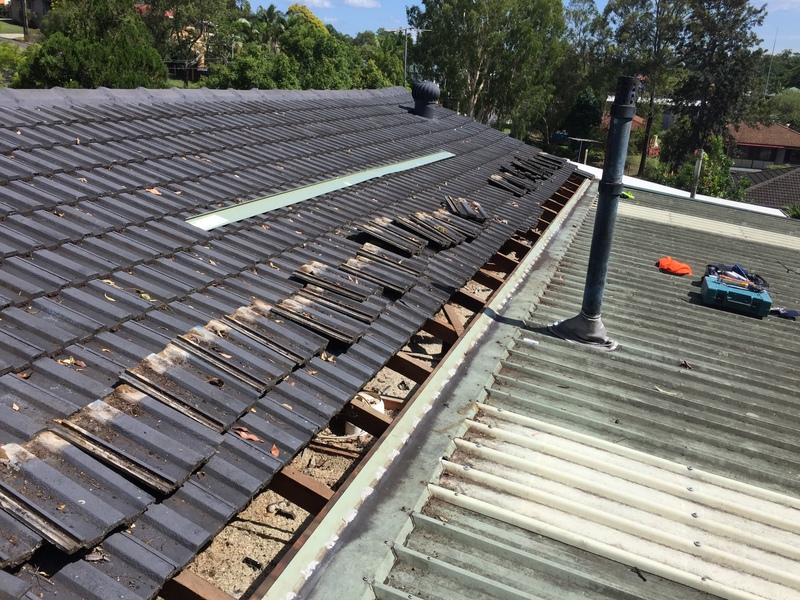 Timber pergolas, patios and all other additions to your home, are best undertaken by the team at Queensland Roofing due to our roofing experience. When building, adding or replacing a new frame of a timber pergola, patio or carport, please consider the following as to why you would choose a roofing company like Queensland Roofing in ensure it is a weather proof addition to your home. Timber pergola structure have specifications for spans. Wider timber spans create a better aesthetic appearance if you are not enclosing the timber. We can not stress enough the importance of roof design of your pergola. We have been asked to provide roofs for other companies that have tried to build pergolas. The frame was incorrect the pergola had to be re-built. 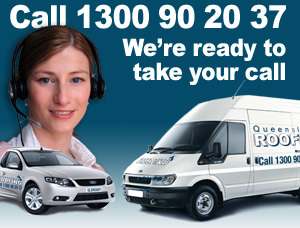 It would be a fair estimate to say that at least 20% of all the roof repair calls we receive at Queensland Roofing are from people that are looking for solutions to repair leaking joins between their timber pergola, carport or veranda, and their house. This occurs because the roof construction was not fully considered prior to the build. 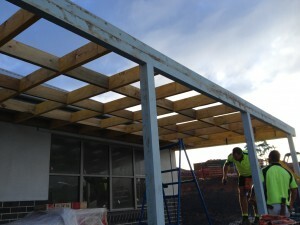 Too often we see timber pergola, patio or carport structures that are not properly connected to the houses they are build next to. If you are building a structure that is designed to keep water out, it is absolutely essential that you design a roof that will join the new structure to the existing structure. In a nutshell: Think about the design of the roof first. 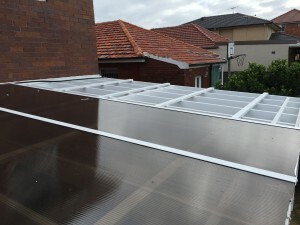 It is absolutely essential that when you ad a new structure to your home that needs to be water proof you consider the application and design of the roof first. Things to think about when designing your timber pergola, carport or veranda. How will the roof be installed and will their be satisfactory water run off? Will I loose height at the end of my timber pergola, carport or veranda if I have to have fall? Where will the water from the veranda go? Can I connect it to storm water or will I need to run the excess water into the garden? The unfortunate truth about the majority of carpenters is that they are not trained in the ins and outs of metal roofing. Metal roofing is a skill set of it’s own, hence why it is a separate license category. This is why there are so many timber pergolas and home additions that leak. This is a prime example of the roof of an addition that will need to be repaired. It has not been designed properly. 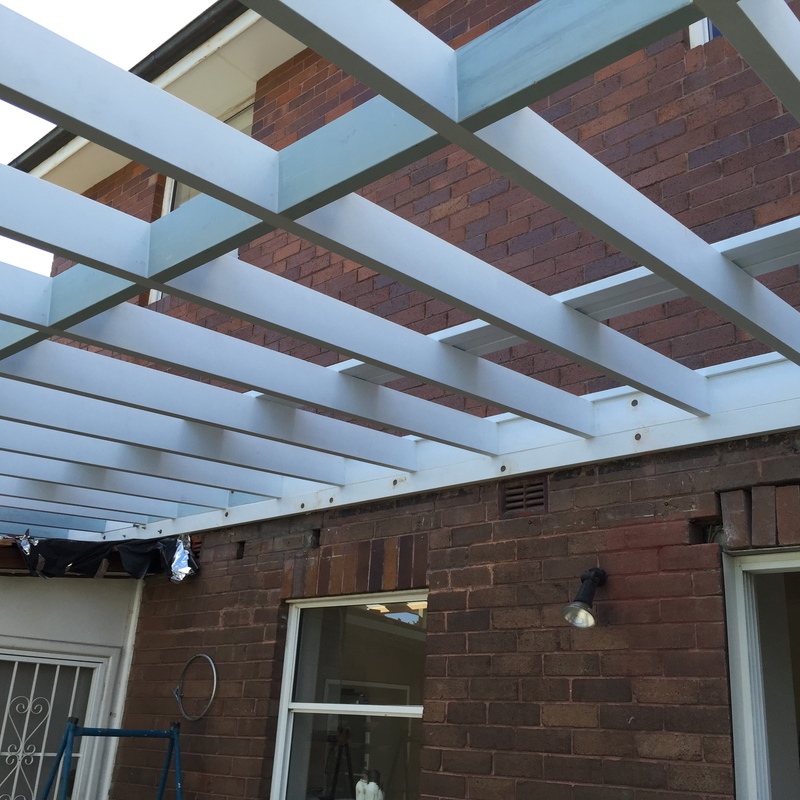 Much of the timber pergola work that we do is replacing old timber pergolas, patios and carports that are no longer structurally sound. With time the structures can become weak and the complications start to arise. Also as mentioned so many times on this page, one of the reasons is because of the existing timber pergolas, patio or carport having a leak. 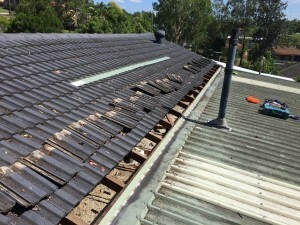 Some times it is impossible to fix the leak, and the only options is to rebuild the frame so that the roofing application can be re-designed. What type of roofing should I use for my timber pergola? There are a range of options that now allow light in while still have insulation properties.